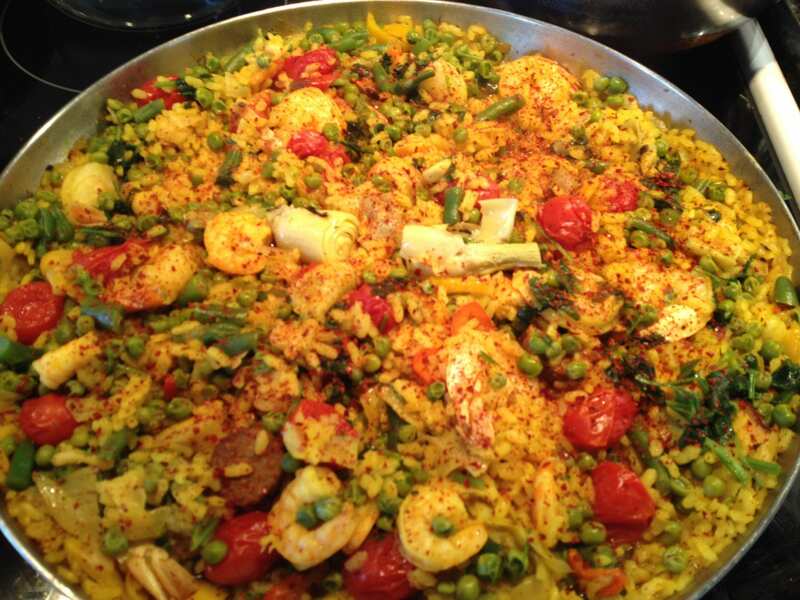 I have made so many versions of Paella and everyone of them is full of flavor, uniquely spiced and laden with super nutritious vegetables and proteins! 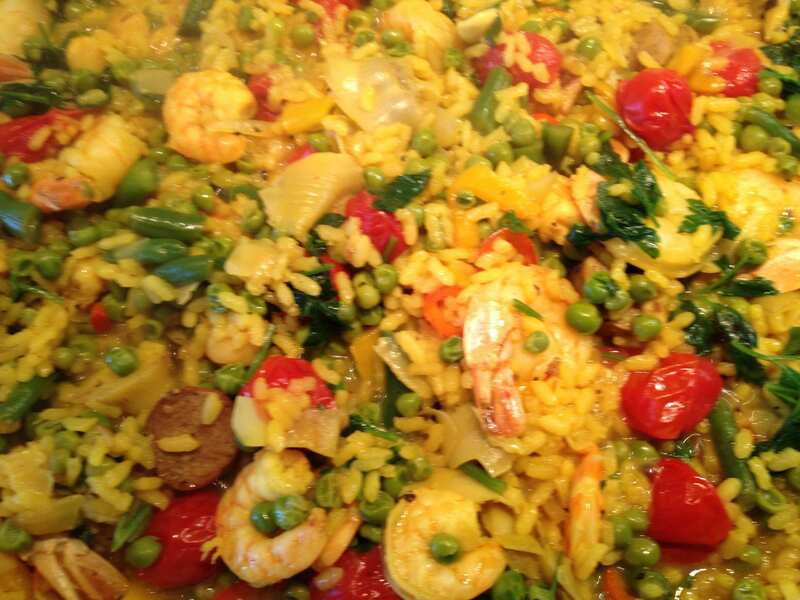 My Seafood Paella with Spring Vegetables is a wonderful springtime variation filled with peas, green beans, artichokes, calamari, shrimp and just a touch of sausage, all nestled in a pan of saffron seasoned Bomba rice! A versatile one pan entrée, this fabulous version of paella is sure to please! Make a large batch as seconds are most definitely called for! Enjoy with a light, crisp white wine or light summer craft beer. Enjoy with a crisp white wine or light summer beer!